Members wishing to use communal work areas for the first time will need to undergo a full competency test before they can use the facilities, these tests are provided free by a Flameworks studio holder. £10.00 per half day (up to 4 hours); £20.00 per full day (over 4 hours); £15.00 per day if required for more than one day, If forges are used we can provide bags of coke for £15.00/bag. Alternatively, if you believe that you will be needing to use our facilities multiple times throughout a month, you can sign up for a monthly user fee of £60.00 to use the facilities as often as you like. Keys can also be provided with this option at a £10 key deposit, which will be returned once the keys have been returned. 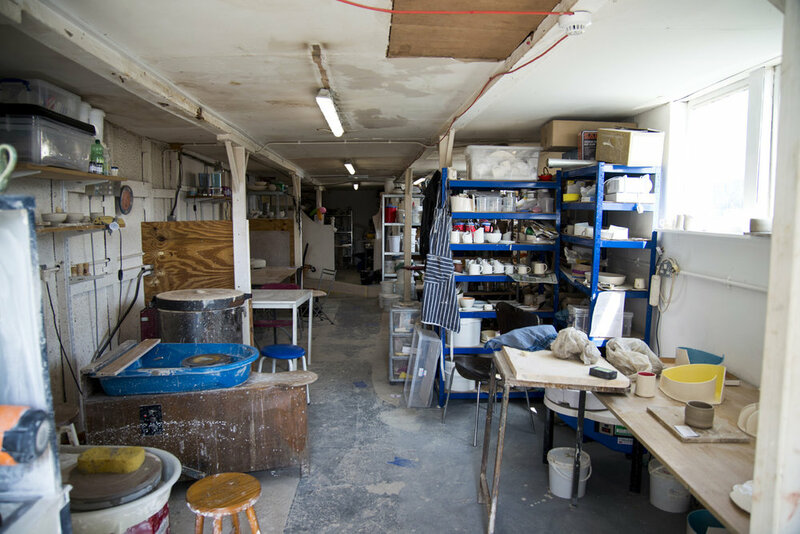 At Flameworks we have kilns available for associate members to use.